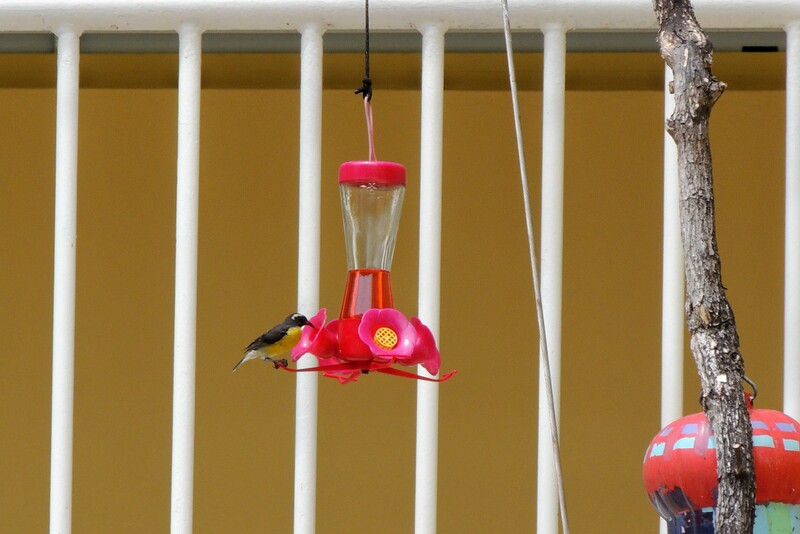 Bananaquits were the only birds I saw feeding at hummingbird feeders. Caribbean Coot on ST. Maarten. Note the pure white frontal shield going to the top of the crown. 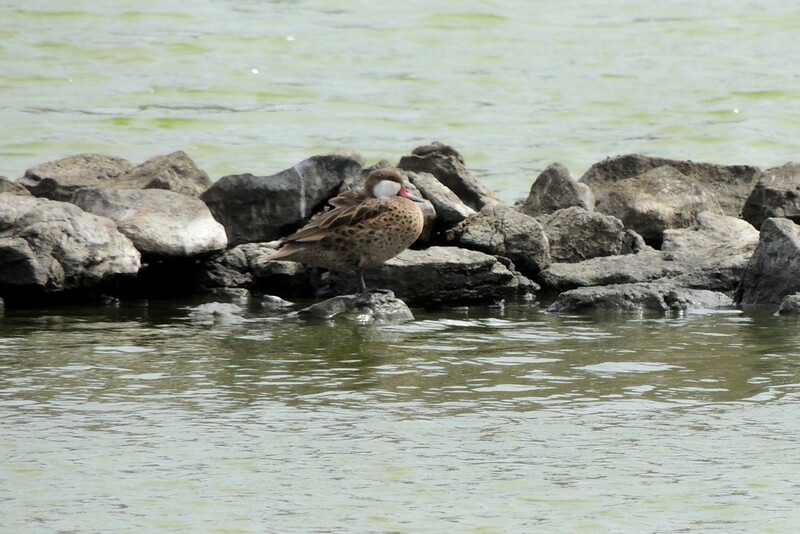 White-cheeked Pintail on St. Maarten. 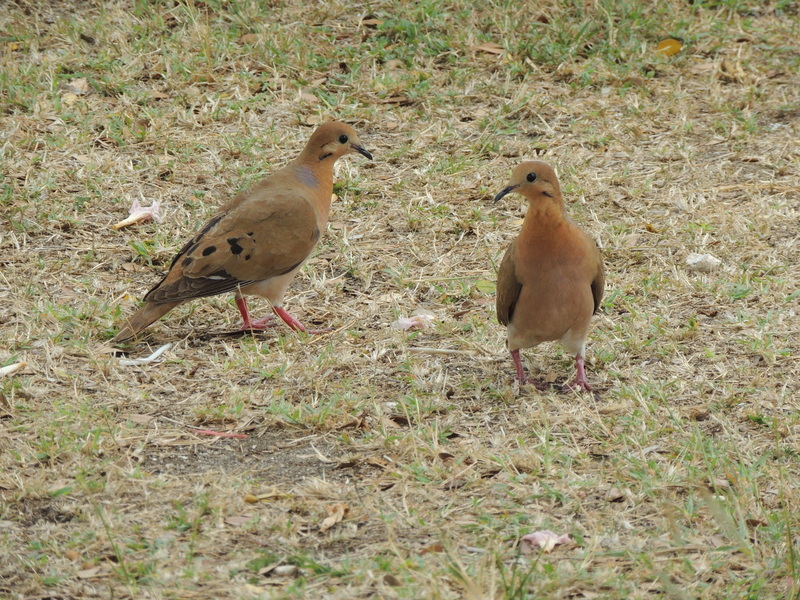 Zenaida Dove pair St. Maarten. This species was found on all the islands we visited. Antillean Crested Hummingbird. 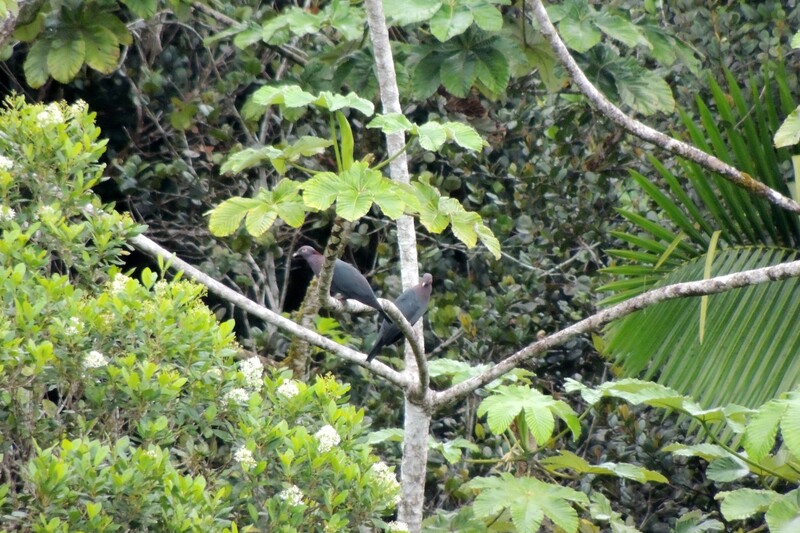 Though I saw a number of these birds on the trip, they were nearly impossible to photograph. Pearly-eyed Thrasher was common on all islands. 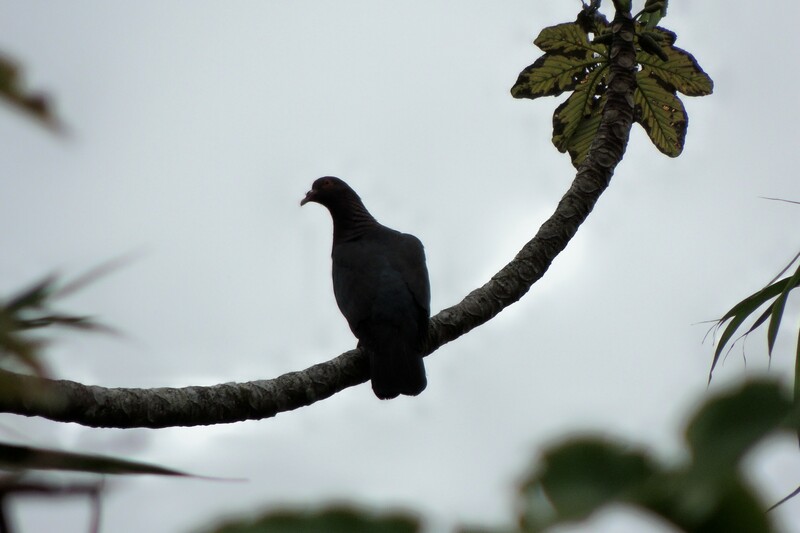 Scaly-naped Pigeon was quite common. A huge beautiful pigeon. 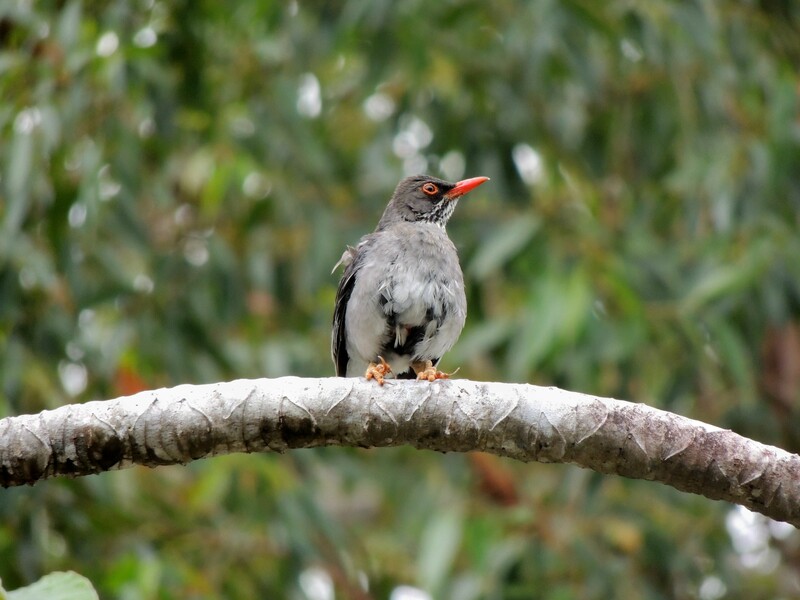 Red-legged Thrush was common in Puerto Rico. One of my most desired species for the trip was Puerto Rican Woodpecker. 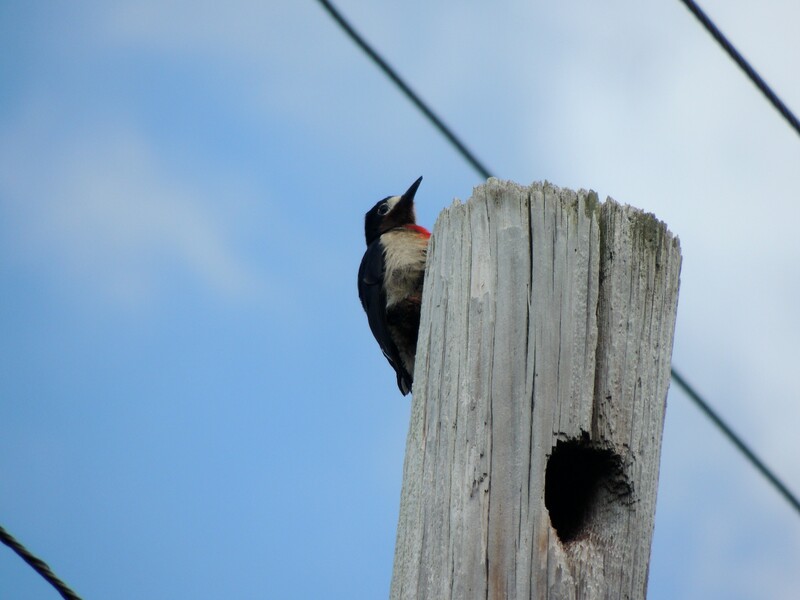 I had three, all immature males. 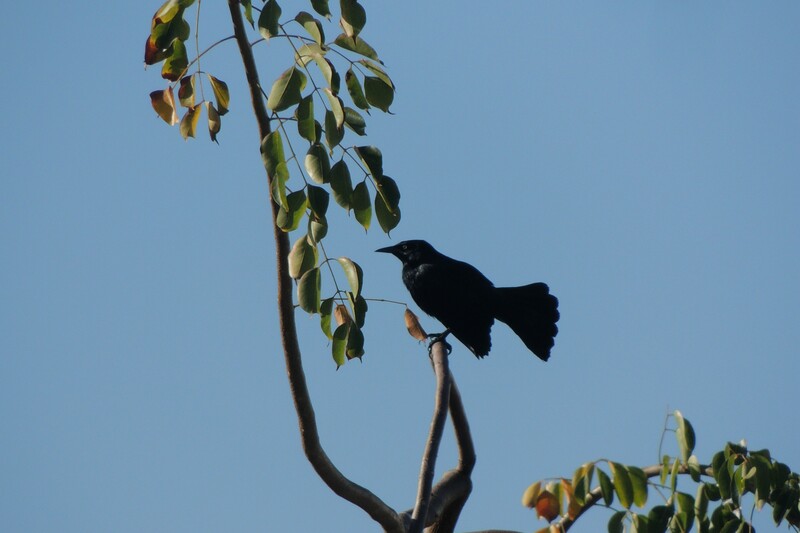 Greater Antillean Grackle was common in Puerto Rico. 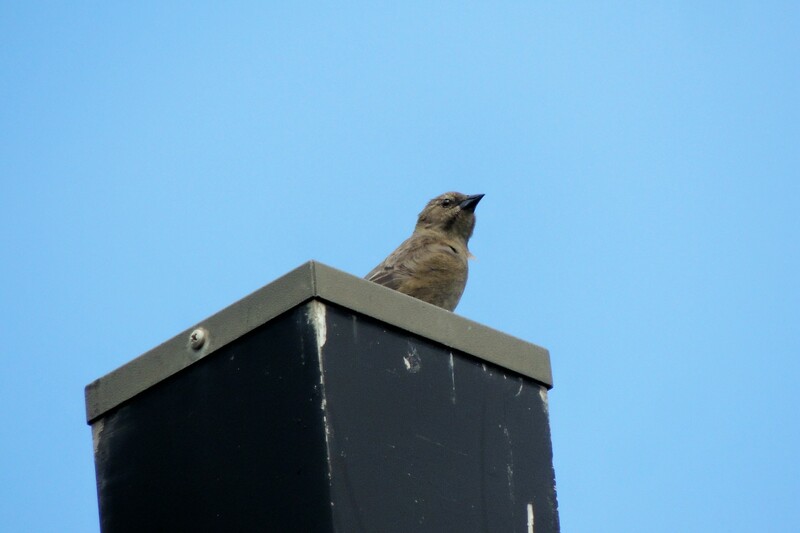 I had one pair of Shiny Cowbirds in Puerto Rico, but the male got away before I could get the shot. 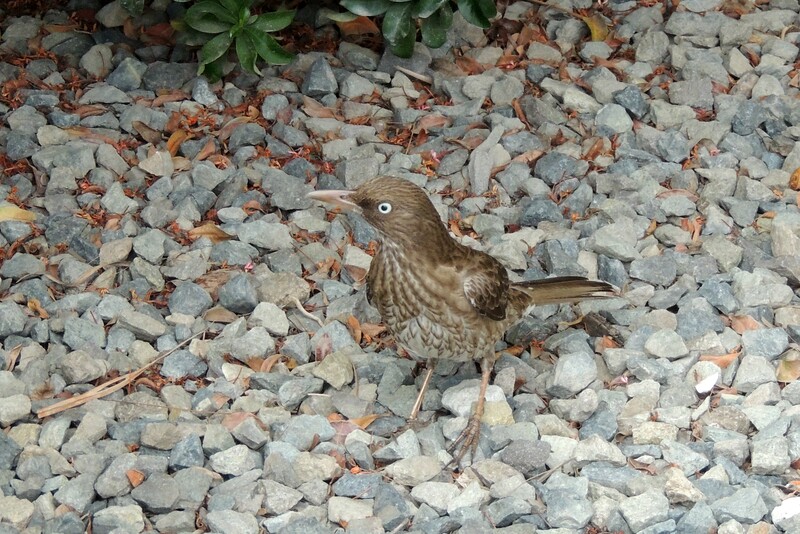 Here is the female. 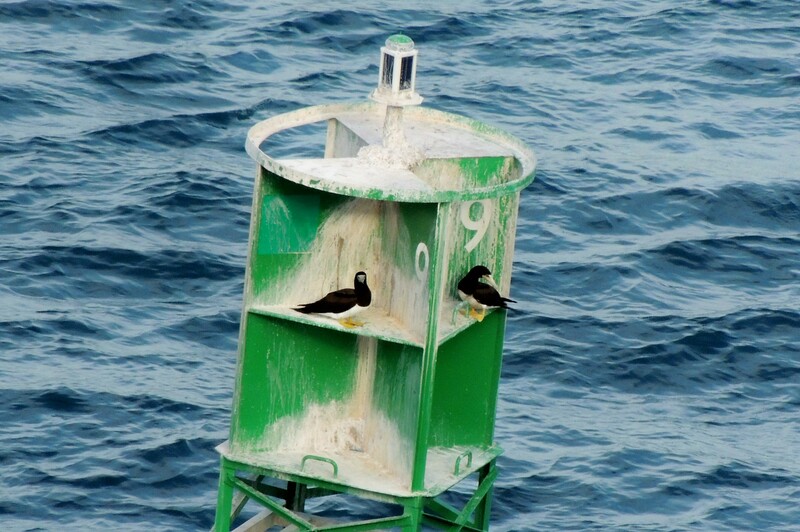 Brown Boobies were seen on all the islands visited and one on the high seas. Green-throated Carib is a large hummingbird I found on St. Thomas. It appears black, but is actually very deep green and blue. The gleaming throat is a bright emerald green, I wasn’t able to capture it in a photo.